On April 15, 1947, exactly 66 years ago, Jackie became the first African-American player in Major League Baseball history. As a player for the Brooklyn Dodgers, he faced continual racial discrimination from fellow players and fans, despite being named the 1947 “Rookie of the Year” and the 1949 “Most Valuable Player” by the National League. Still, Jackie persevered, and 50 years later, his jersey number (42) was retired from Major League Baseball. To celebrate this important day in history and the release of 42 — the popular new film about the player — we’d like to give Jackie a Fedoras-style salute. Check out Jackie’s inspirational story by browsing these images from 42, and be sure to tip your hat to the 1940s toppers featured in the movie! 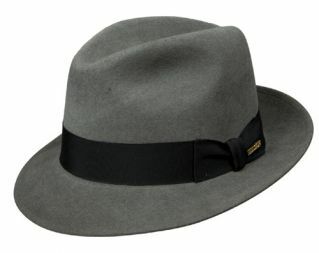 Looking for your own version of the hats worn by Harrison Ford, Chadwick Boseman, and the rest of the cast? 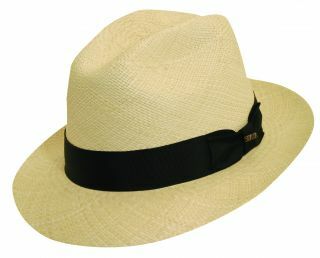 Click on the hats below the images for more information. As with any party, setting the scene and expectations for your Gatsby party starts with the invitations. Since it’s NYE, you want to keep the invitations looking sophisticated and fun, but with an old time feel. Invites in gold, champagne, black and white, or silver with vintage block fonts work best. Extra points for ’20s images or metallic and/or glittery details (guys, we understand — you can skip the sparkle). Or, you could use the book’s original cover and make your own invites instead. On your invites, be sure to tell your guests to get all gussied-up and Gatsby-fied. For the Jay Gatsbys, Tom Buchannans, and Nick Carraways out there, dress like a dapper gent in a black suit and bowtie, or dress pants, an old-fashioned blazer, and suspenders. Slick back the hair and grab a cigar for an authentic look. For the Daisy Buchannans, Jordan Bakers, and Myrtle Wilsons out there, it’s all about retro waves, rouge lipstick, fur coats, and eye-catching dresses! The flapper look of the ’20s was all about clothing you could move and twirl in, with beading, gems, tassles, sequins, ribbon, or other flashy embellishments. Looking for a little inspiration? Try the look below! 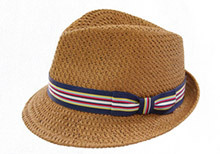 When it comes to looking the part, accessories are key to pulling off Gatsby garb. 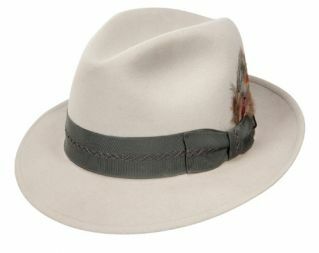 For guys, it’s all about the fedora (and lucky for you, we know where to find ’em). To pull off the high-scale Gatsby appeal, grab some cufflinks, a pocket watch, and a handkerchief for your coat pocket. 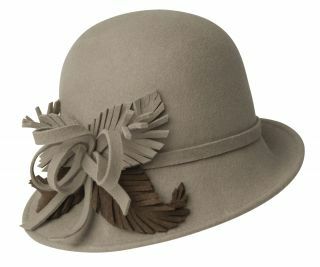 For the ladies, your go-to hat is the Daisy-like cloche. Be sure to don a headpiece underneath that topper, carry a hard-cased clutch, and don’t skimp on the pearls, velvet, rhinestones, jewels, and feathers — pile them on! Although the book takes place during the summer, it’s easy to decorate using the rich colors, bold lights, and shimmery decor of the 1920s during the holidays, when there’s an overabundance of glitzy baubles lining the store shelves (most will be on sale right before and after Christmas, too). For Gatsby theme decor, think lavish extravagance meets sleek, retro sophistication. For the tablescape, choose items in black, white, gold, silver, and jewel tones — and don’t forget the luxe contrast of white candles and flowers. The beverage area should be the center of attention in a 1920s themed party, so deck out a bar cart or side table in vintage-looking barware, swanky bottles, and chic touches like a cocktail menu, festive streamers, and retro straws. We love the idea of using vintage gold frames (you can find them at your local Goodwill) and painting the inside with chalkboard paint — the perfect ambiance-setting signage for your place. And last but not least: don’t forget the confetti. It’s a Gatsby and NYE must! Gatsby threw over-the-top parties to impress Daisy; his parties were all about overindulging, especially when it came to food and drink. Let’s start with the drinks, because even though the story took place during the Prohibition era, that didn’t stop Gatsby’s free-flow of booze for his guests. Gin was a staple in the speakeasy era, but try to make a few authentic cocktails, too, like a Mint Julep, Southside, Sidecar, Highball, and French 75. And don’t forget the bubbly — it’s NYE, after all! If you’re serving a few apps, try your hand at tea sandwiches, crab-stuffed mushrooms, pancetta-wrapped figs, baked brie with pecans, triple deviled eggs, and shrimp cocktail. Serve savory chocolate dipped brownie cookies, triple chocolate truffles, creme brulee donuts, or a simple angel food cake for dessert. To Gatsby-ify your hors d’oeuvres, use fedoras as serving bowls by lining them with aluminum foil (for protection), covering the foil with a cloth napkin, and filling them with your foods. 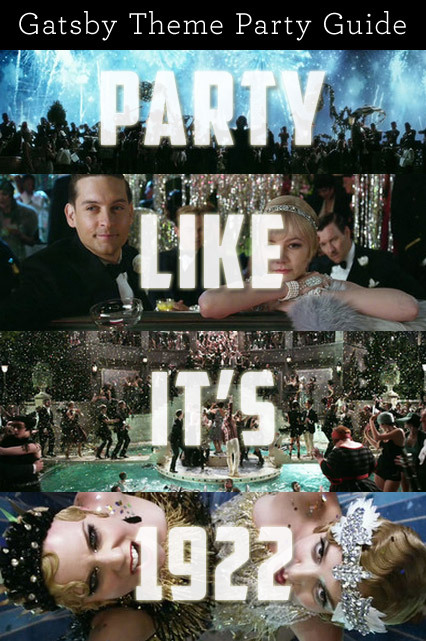 To top off your Gatsby bash, switch out your top hits for swing music. Bust out that old fashioned record player and play some vinyls, or load your phone with all sorts of Swing-era tunes. Early jazz artists like Duke Ellington, Louis Armstrong, Cole Porter, Ben Pollack, Don Redman, Fletcher Henderson, Coleman Hawkins, Benny Goodman, Glenn Miller, Red Allen, Roy Eldridge, Benny Carter, and John Kirby are staples for your Spotify playlists (check out our collection of 1920’s hits here), or listen to stations like Early Jazz Radio or Roaring ’20s Radio on Pandora. Guests will surely get into the swing of things. 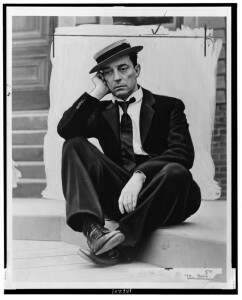 While men’s style has changed quite a bit over the centuries, there are some styles that have transcended time — especially where hats are concerned. 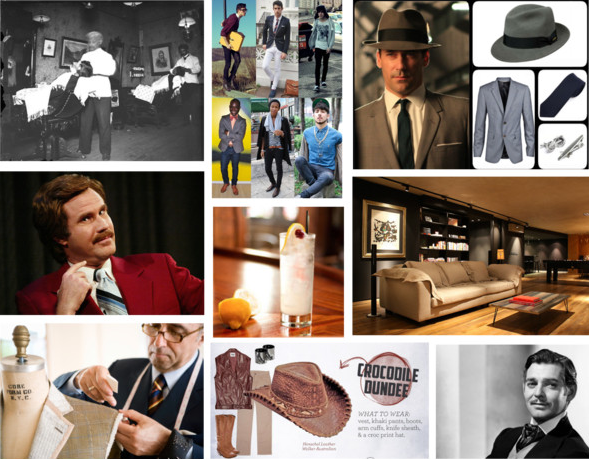 Likewise, men’s interests have withstood the test of time, only becoming more expansive with ever-changing innovation. 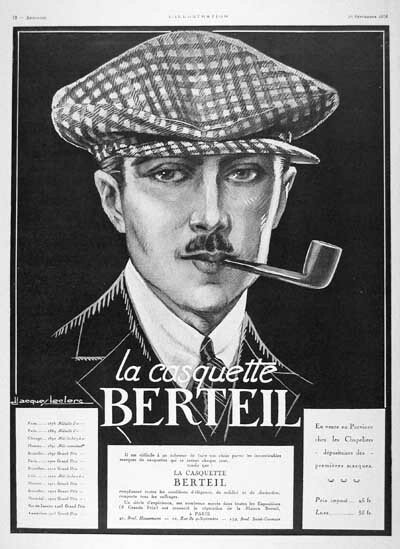 From cars to clothing and beyond, the following vintage advertisements display the ever-dapper interests of man over time. Side note: We think these ads would look perfect printed out, framed, and hanging on the walls of a mancave. No worries if you can’t read French. 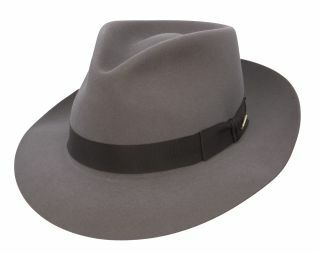 This advertisement is for none other than hats. 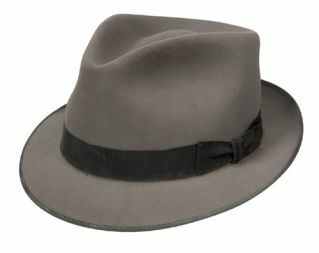 This stately gent is sporting a pipe and a stylish newsboy cap much like this Stetson Beane Wool Longshoreman Cap. Not necessarily a style you see everyday, the newsboy can easily be pulled off today with a weekend blazer, casual tee, and jeans. In 1944, World War II was in full-swing, and this type of advertisement was likely in periodicals on a regular basis. 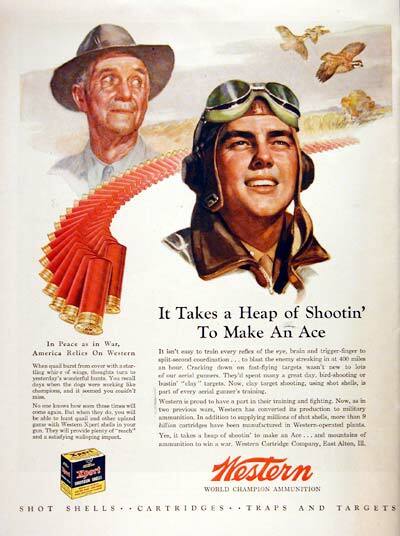 This one for Western Ammunition states, “In Peace and in War, America Relies on Western.” Comparing a military hero with an average civilian, this ad appealed to a sympathetic crowd. 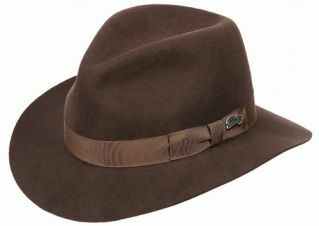 Hey, how about the Indiana Jones-style hat on the hunter above? Any 21st century guy can pull one off today with a pair of jeans, a button-down, and a leather jacket. 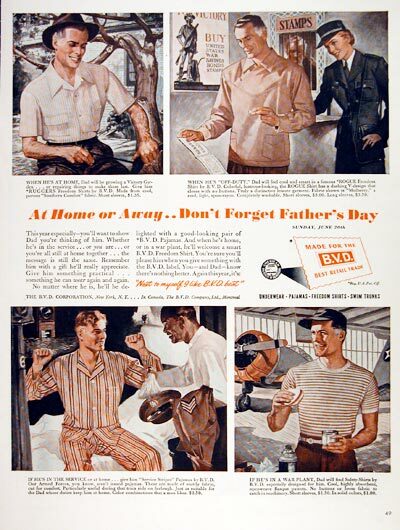 Also making an appearance during the Second World War, this Father’s Day ad for B.V.D. 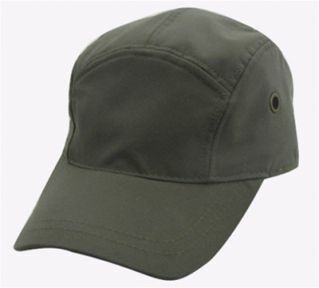 Men’s Wear appeals to the deployed, as well as those at home. It displays the styles of the time including everything from work clothes to sleepwear. We really love the military cap on the war plant worker at the bottom right. 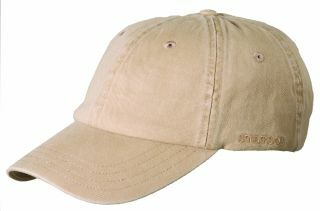 The Dobbs French Twill Fatigue Cap is definitely a look-alike and perfect for everyday street-wear. Around this time in 1938, this ad graced the pages of newspapers and magazines. 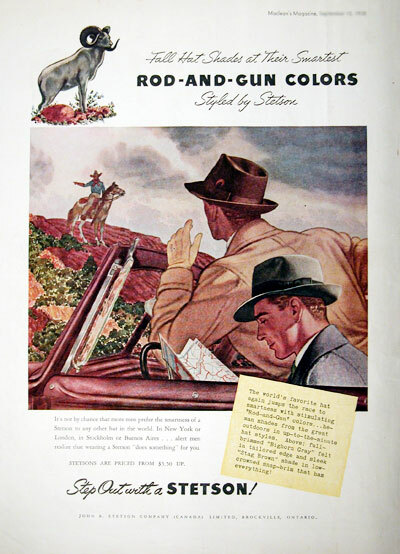 Featuring the slogan, “Step Out with a Stetson,” this ad features “the world’s favorite hat” in stylish rod-and-gun colors. 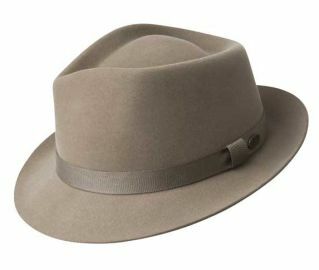 Both the Stetson Pisa Cashmere Blend Fedora and the Stetson Temple Fur Felt Fedora look very similar to those in the ad above. 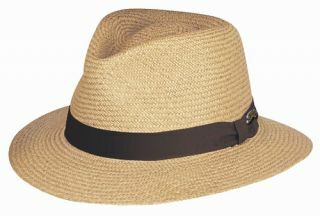 Fedoras are still very fashionable today for both men and women, growing especially popular this past spring and summer, and continuing pace into the cooler months. These are a perfect fall accessory! This ad goes waaaay back — all the way back to the menswear of 1895! 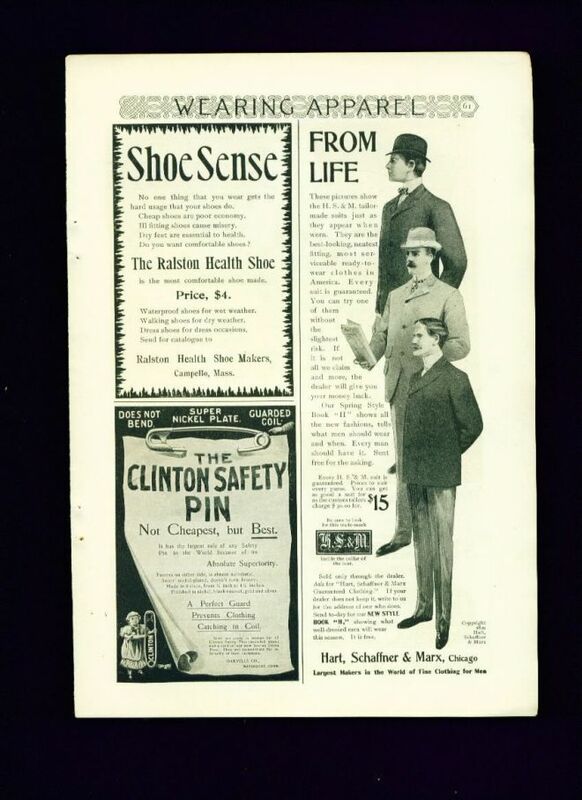 Featuring the “best-looking, neatest fitting” Hart Schaffner & Marx Tailor Made Suits, this ad features a few different hats, including the popular bowler style. 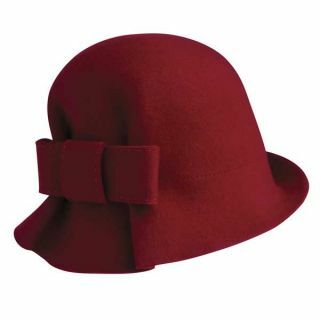 Make a statement with this Christys’ of London Hand Made Fur Felt Bowler Derby hat, perfect for dressing up your suits this season!